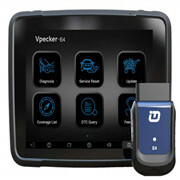 Top All-system All-make Scanners recommendation: VPECKER E4, Launch X431, Autel DS808. What’s their similarities and difference? and more importantly what it can do in real test. Go on reading. all of the above scanners are highly recommended for professional repair technicians. Which one better, it depends on how deep you like the three brand: Vpecker, Launch and Autel, and more importantly, the vehicle to work on and function to perform.